With security and space as number one priority in this estate, this ultra modern home simply ticks off all of the boxes! 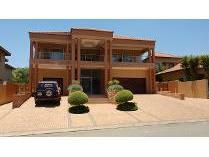 located in johannesburg, in the meyersdal nature estate, the lovely home boasts 5 spacious bedrooms and 4 bathrooms. The home has built-in-cupboards in the kitchen, bedrooms and bathrooms, which provides you with ample cupboard space, as well as extra comfort! the home offers you 2 lounges, a dining area, a cinema room and a kitchen, all with modern finishes. This gorgeous house is perfect for the established or growing family! 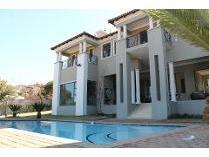 the lovely home also comprises of a garden and a sparkling blue swimming pool. The home is close to all amenities such as shopping malls, restaurants, services, schools, highways, hospitals and so much more, for your convenience! if a lifestyle of leisure, luxury and comfort is what you are looking for, then call adri today, and she will gladly assist you with an exclusive property viewing! 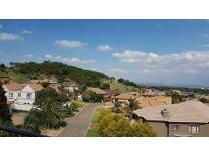 Located in johannesburg, in the very heart of meyersdal, this stunning full title property is nestled alongside the gorgeous eco estate with fantastic scenic views! this house has been stripped down to the bone and has been completely renovated with contemporary finishes, palatial space, optimization and the luxurious feel that the surroundings command! 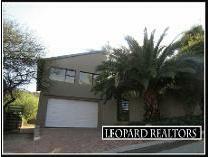 with 4 spacious bedrooms and 2. 5 bathrooms, families are far from a tight fit. A gourmet kitchen is truly a highlight of this magnificent property. A complete open plan for the living area is embraced in this property with a massive elevated area on offer it could serve multiple purposes. With tranquil landscaping and a picturesque backdrop, it is frankly the complete package. The home is close to all amenities, such as shopping malls, services, schools, hospitals, gyms, highways and so much more, for your convenience! if a lifestyle of both leisure and luxury is what you are looking for, then contact adri today and he will gladly assist you with an exclusive property viewing! 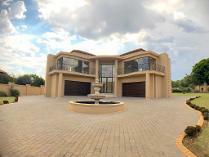 Situated on a massive corner stand in the upmarket and exclusive meyersdal eco estate, fit for a king. This majestic mansion offers a grand entrance with 4 garages, as well as a water feature in the centre, where you can drive in and out of the property. This home has a massive kitchen, which consists of two kitchens. One being a showpiece kitchen with a gas and electric stove and the other an everyday use kitchen with a touch screen electric hob. The kitchens have been fitted with solid wood built in cupboards and top of the range finishes such as granite tops and aeg stainless steel appliances - ideal for a master chef! there is a separate scullery and work area to ensure the "functional" part of the home is separated from the showpiece and cooking kitchen, which also includes a walk-in pantry. As you move along the rest of the house, you are greeted by top of the range finishes such as a marble staircase, chandeliers and wrought iron balustrading. There are five exceptionally large bedrooms with oversized windows ensuring that you enjoy the stunning views over the beautifully landscaped garden and surrounding trees - tranquillity guaranteed. There is solid wood flooring in all the bedrooms and porcelain tiles throughout the rest of the house. 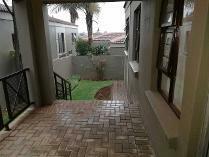 This home is an ideal entertainers home with an entertainment area, with sound throughout and ample parking space. Security in this home is guaranteed as the estate is extremely secure! 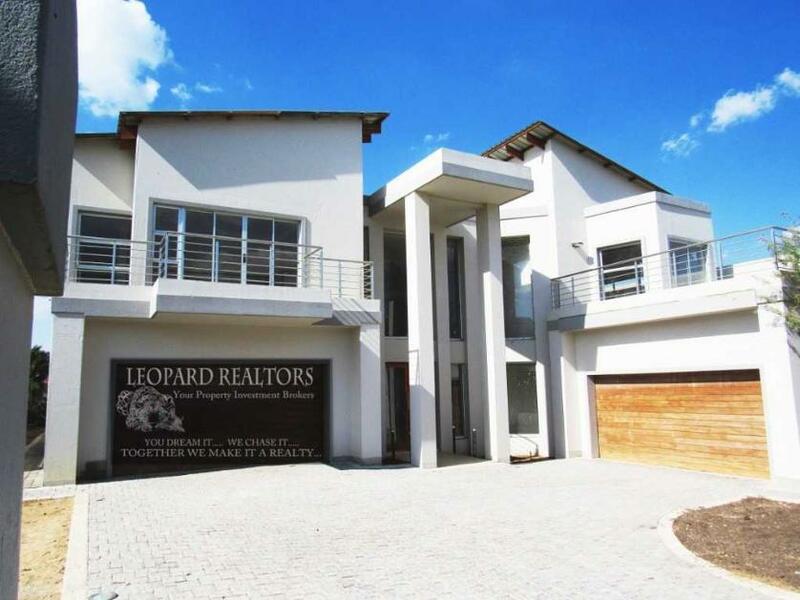 This beautiful spacious 6 bedroom home offers the complete package with three stories situated on a corner stand. Enter into a double volume open plan living area with a large granite kitchen with separate scullery, dining room and lounge flowing out onto a balcony with views, fitted cabinet study, guest bedroom with en suite downstairs. 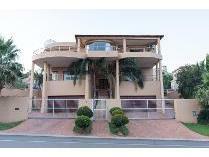 Upstairs offers five bedrooms (en suite), a large gym / office room with a balcony and endless views. The pyjama lounge can be converted into a cinema room as enclosed and private. Basement offers an entertainment room with a fully fitted bar with storeroom. Extras include two double garages, atrium with skylight, led lights throughout, koi pond, sparkling pool in private garden and domestic quarters. Live the lifestyle in this secure estate close to highways and all amenities.